Simpletown is a quaint little hamlet close to Godville. More of a suburb of Godville than a true town. Here nothing ever changes. The squat, simply made houses may change owners every little while, but, having no distinguishable features, residents have reported not noticing for years that they have had new neighbours. Indeed, some have even mistaken complete strangers for family or life-long friends, due to everyone’s indistinguishability. Located 5 miles from scenic Godville, in rolling countryside, Simpletown is as if one with the hills. During the Winter Holiday, it cohabits the land with Laplandville, which regularly disappears afterward. It is made up of the makeshift hamlets and countrysides dot the outskirts of the big city, which is perfect for the simple minded that call this place home. There are no geographical landmarks here, nothing stands out at all making navigation at times quite difficult. 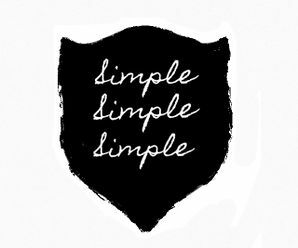 In Simpletown, everything is very simple. The people are simple, their houses are simple, and their lives are simple. Nothing here is extraordinary, even the stars at night are bland. However, make a huge fuss, and the simple people will simply kick you out of town. No one there likes a distasteful atmosphere. This could be seen as a response to the hustle and bustle of nearby Godville, whose streets and taverns caused many nights of commotion and confusion for the simpler townfolks who didn't have a God or Hero. The townspeople are big on agriculture and manage to maintain moderately sized farms despite their disdain for technology. To make matters worse, the average Simpleton cannot find decent education within the walls of the city, and those teachers that do live here command a hefty sum of gold. Most items found in the local stores here are handmade and command a fitting price for such artistry. Due to its close proximity to Godville, many heroes now bring their loot and resources to Simpletown instead-where they are met with sizeable coin purses and relatively timid traders who eke out a meager existence while otherwise living in their dead-end town. This has allowed for a small but thriving community where heroes can offload their goods before reaching the big city and allows the citizens of Simpletown to continue their ordinary, boring lives; awaiting the time they get too bored to continue or until they too become heroes in their own mind. This page was last edited on 23 August 2018, at 23:47.